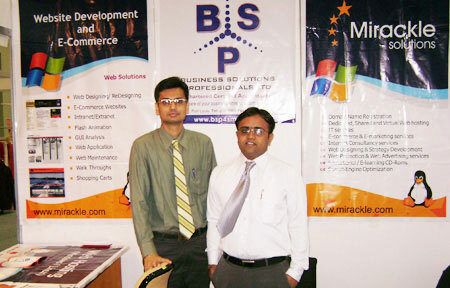 Mirackle Solutions was founded in the year 2001 by young entrepreneurs Mr. Kavish Desai & Mr. Mitesh Doshi. Mirackle Solutions was introduced to Mauritius in the year 2007 by our associate partner Mr. Sham Mathura, CEO of BSP Ltd in the year 2007 at the business launch function of BSP Ltd. Our company co-founder Mr. Kavish Desai was the chief guest at the function which was attended by top businessmen and professionals from Mauritius, thus opening the gates for doing website development business in Mauritius. 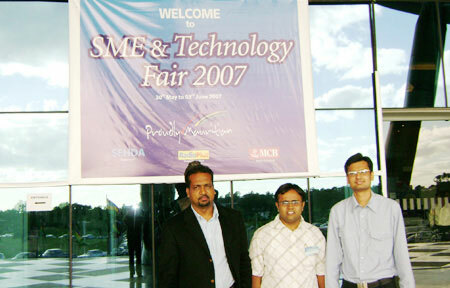 Mirackle Solution followed its company launch in Mauritius by participating in the SME Trade Fair held in Mauritius in the year 2007 thereafter. Our company presentation and stall photos at the SME Trade Fair were covered and published by Le-express, a leading Mauritius newspaper. We have participated in SME & Technology Fair 2007 at Swami Vivekananda International Convention Centre Port Louis, Mauritius from May 30th to June 3rd. The event aimed to promote the know-how of small and medium-sized companies and it was an ideal platform for interaction between the companies but also between entrepreneurs and other partners. Mirackle Solutions bagged the order of Voltas Ltd for thier corporate website www.voltas.com. With our efficient web site developers we successfully launched India's leading engineering company’s website www.voltas.com.in the year 2009. Following the successful launch of voltas.com, Mirackle Solutons immediately got the website order of E-nxt Financial Technologies Ltd another Tata Group company. Since 2009 when ecommerce sites era was slowly picking up in India Mirackle Solutions has successfully designed and executed a wide range of high traffic attracting national and international ecommerce websites such as www.allindiaarts.com, www.affordmontessori.com, www.sleathermall.com, www.aloeverabodyproducts.com and many other ecommerce sites have been following there after. 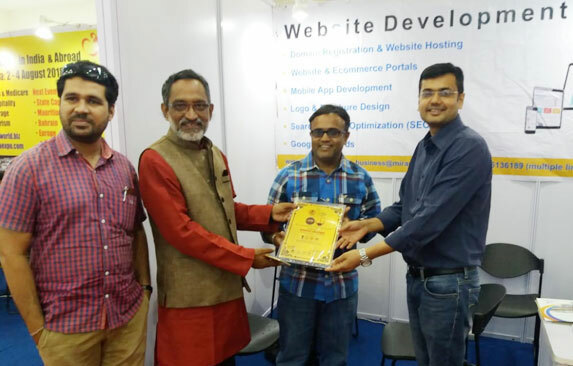 All this has helped us to become one of India’s best website development companies. On 15th August, 2012 Mirackle Solutions shifted its office premises from Marine lines, South Mumbai to Mumbai's most business friendly and commercial western suburb Vile Parle (West). Our office is close to both the domestic and International airport making it easy for our national and international clients to visit us once they are in Mumbai. 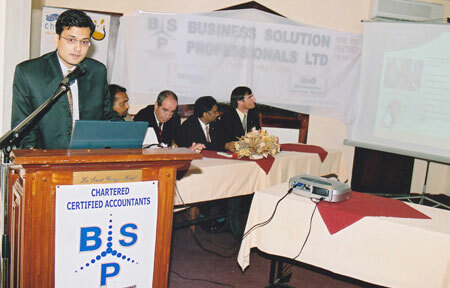 Mirackle Solutions was introduced as the IT and Website Services partner at a press conference in Mauritius on 13th September, 2013 by our associate partner Mr. Sham Mathura, Ceo of BSP Ltd, Mauritius to provide IT and website development services to the small and medium enterprises in Mauritius. 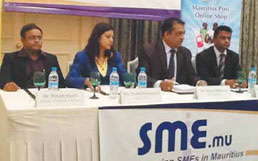 The press conference was attended by Mr. Mitesh Doshi, Co-founder, Mirackle Solutions. 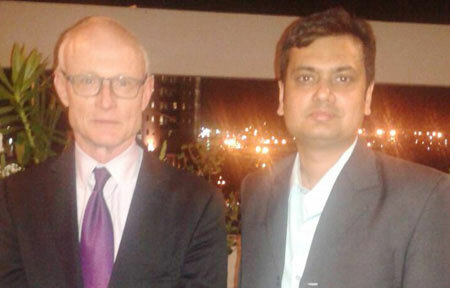 The Conference was held in Phoenix, Mauritius where Renowned World Famous Harvard Professor Michael. E. Porter had given insight to his work which comprises of competitive strategies competitive analysis and market attractiveness based on the Five Forces Model. He shared his experiences on Concept of Strategy and Competition. 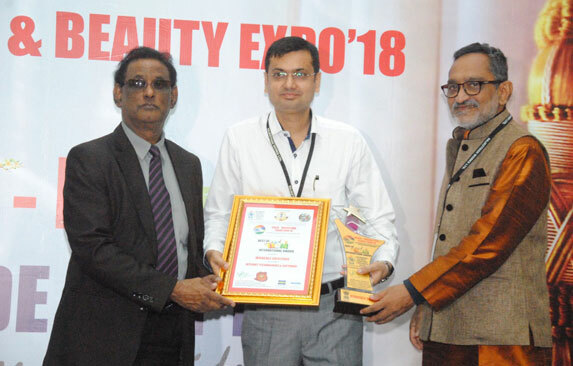 Mr. Kavish Desai, Co-Founder of Mirackle Solutions had participated in this conference. He had a great experience and gained knowledge on holistic strategy development and implementation of leading companies. Mirackle Solutions has a global footprints with offices and development centers across the world. Recently we opened a new development center in Nagpur. Development Center, a place where our employees are actively involved in the assessment of their own and others behaviors as part of their professional development. These employees are an active part in the branch office there itself. One of our development center is already located in Mumbai, thus adding to voyage for the conquest of a good customers to do business with. We at Mirackle Solutions believe in recruiting fresh talent in the market and training them according to the latest corporate manners so that they can cater to all the needs of our customers with ease. This new development center at Nagpur is opened with such a vision in mind and we believe it will help us extend our boundaries to a whole new level. 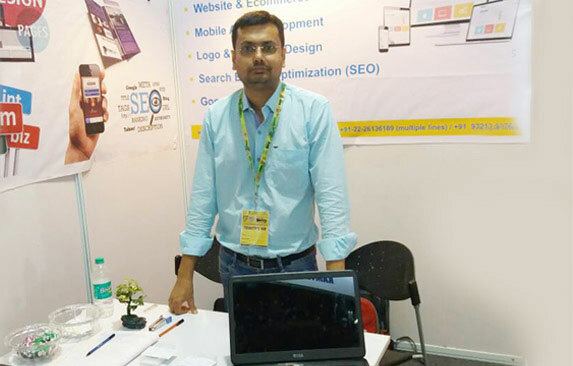 We had taken part in an exhibition at World Trade Center, Mumbai for promotion of our services from Brand Building to Website Development, marketing services like SEO and Google Adwords. It was a wonderful promotional opportunity for our company to propose our services to a huge elite crowd that had attended the event. 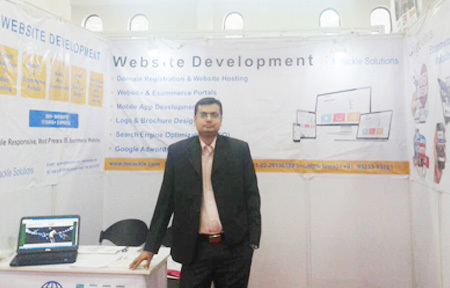 We had taken part in an exhibition Ayush Medical World Expo at Nehru Center, Mumbai for promotion of our services such as Domain registration, Web Hosting, Brand Building to Website Development, marketing services like SEO and Google Adwords. It was a wonderful promotional opportunity for our company to propose our services to a huge elite crowd that had attended the event. G Suite for business gives you everything that you need for your business. G Suite (Formerly Google Apps for Business) is a very influential yet uncomplicated tool to run any business, irrespective of its range-big or small. 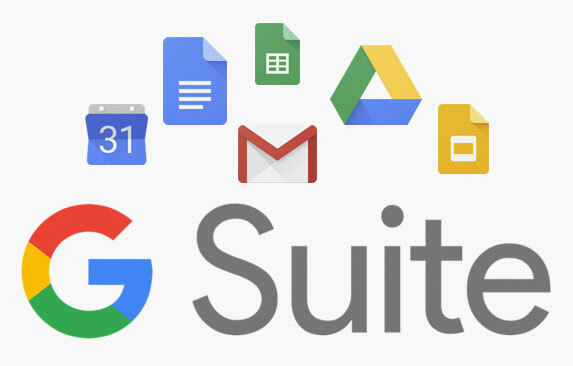 Using G Suite, the organization gets more customized email addresses (with Gmail for business), Calendar, Mobile email via android for work and IM access.